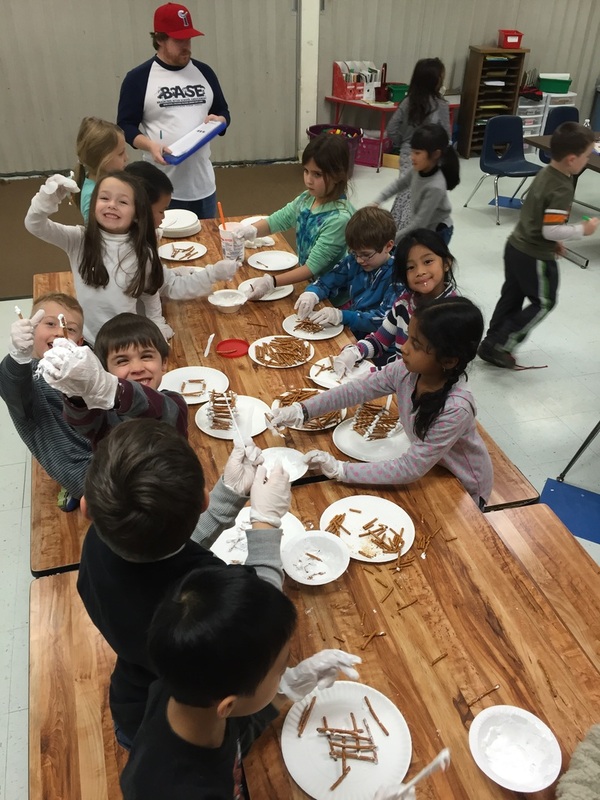 Hello all first grade blog readers, sorry for the delay in posting the past week. We have been having so much fun in the first grade class and doing so many fun activities. 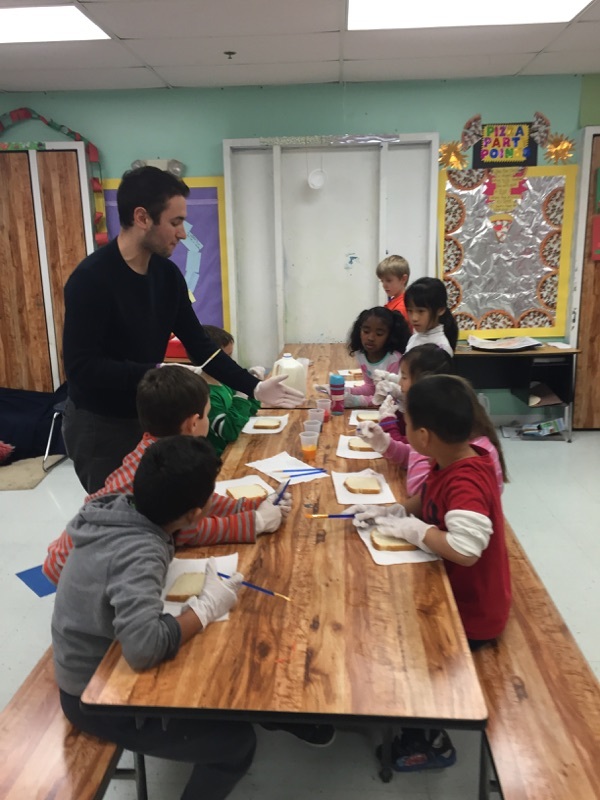 Mr. Mike did a great cooking activity that involved a great message to the kids along with them getting creative with cooking. Mr. Mike read a book called Stone Soup is an old folk tale in which hungry strangers compel the local people of a town into sharing their food. The story teaches that sharing can lead to everyone being happy instead of people not sharing and people being not happy. 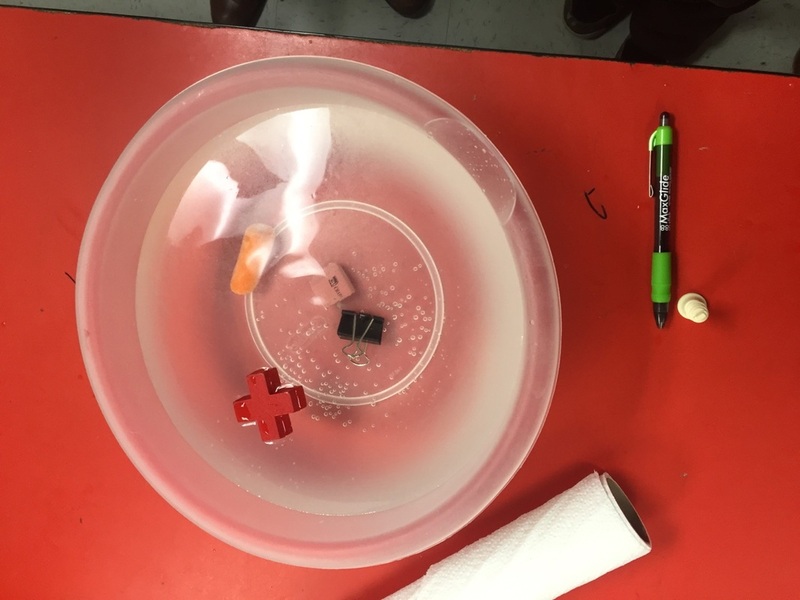 Mr. John taught the students about surface tension with a project that had the kids use paper clips and a bowl of water. 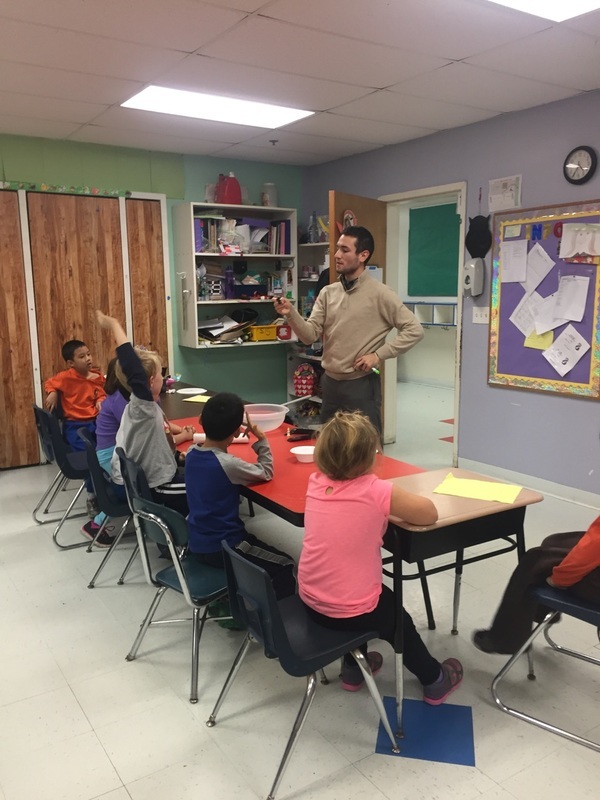 Last week we had February break and for the students who came to B.A.S.E they all had a great time. I guess the groundhog was wrong after all. Hopefully spring can still start early and we won't have to much more snow the rest of the year. 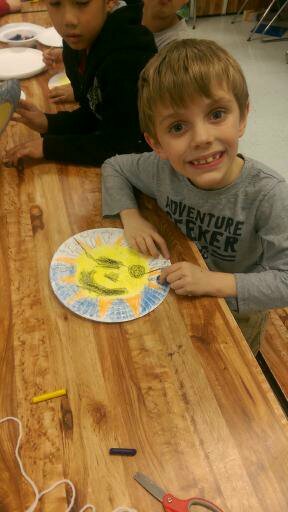 Before we had two days off of school we were having so much fun doing our weekly projects. The theme for the week was ramps and pathways and our class had lots of fun exploring with them. 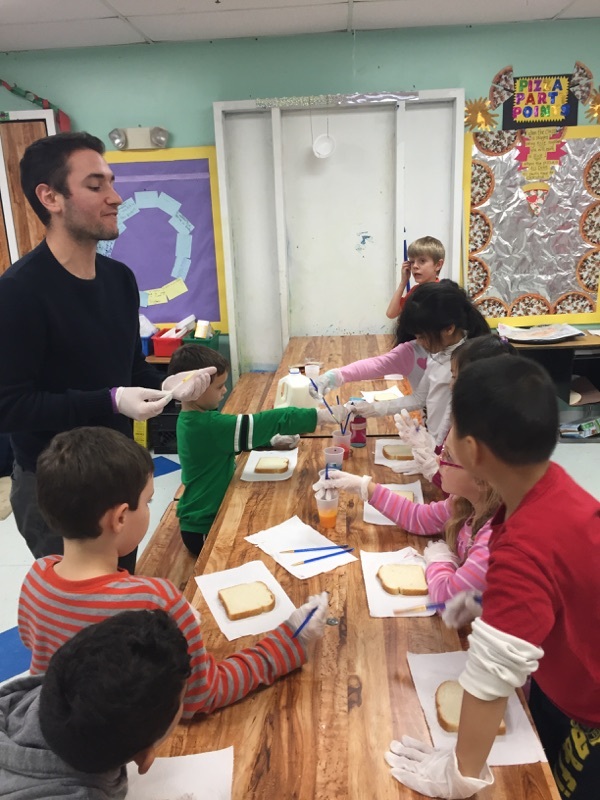 For our science project this past week Mr, Mike did an experiment with the children showing how different liquids can react to each other depending on what is in each liquid. 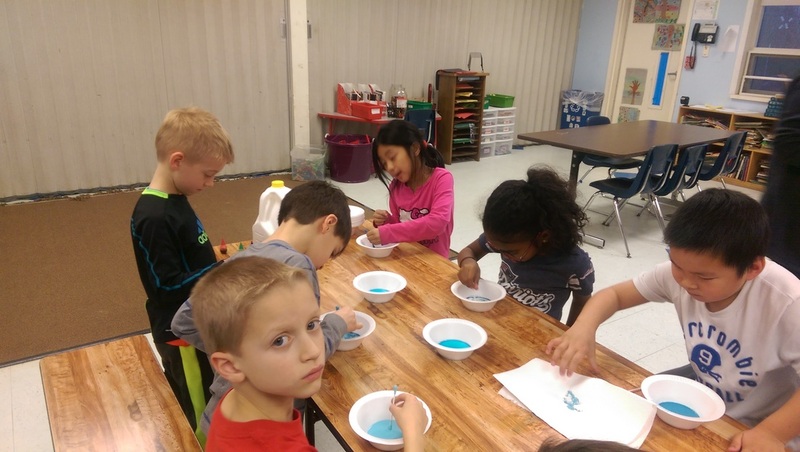 The children were able too see how food coloring might react with soap as opposed to water. 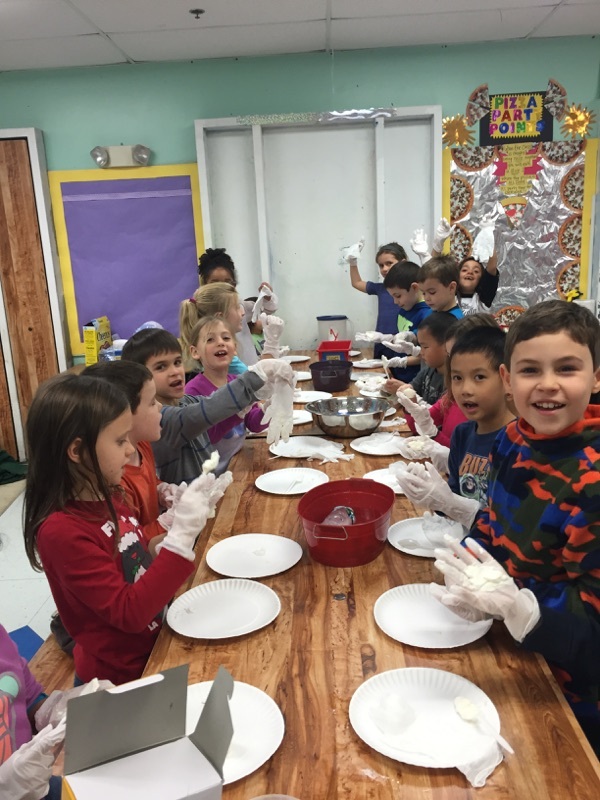 Finally our cooking project with Ms. Kristen was canceled due to our snow day. From the first grade teacher we hope that you all enjoy your February Vacation whether if its at base or where ever you may be. Mr. Mike here for the last time, officially signing off for the month of January. I apologize for the delay, but I have a lot to catch you all up on. With February vacation fast approaching, I would like to remind you that we have our deadline to register for vacation week by tomorrow, February 5th. Any questions, please ask when dismissing your child and we will gladly assist you in the process. 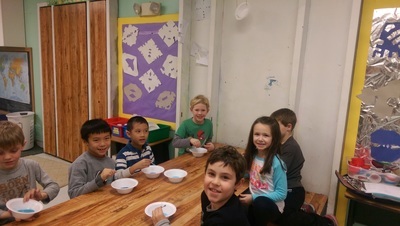 In spirit of music week, the kids made their own instruments with only a handful of household items such as plastic Easter eggs, rice, cups, noodles, and plenty of tape. We tested out our instruments, named them, and sang a few familiar songs. Overall, it was a hit! Our next project was with Mr. John, making snow gauges in anticipation for the snow storm and having something to measure how much accumulated over the night. 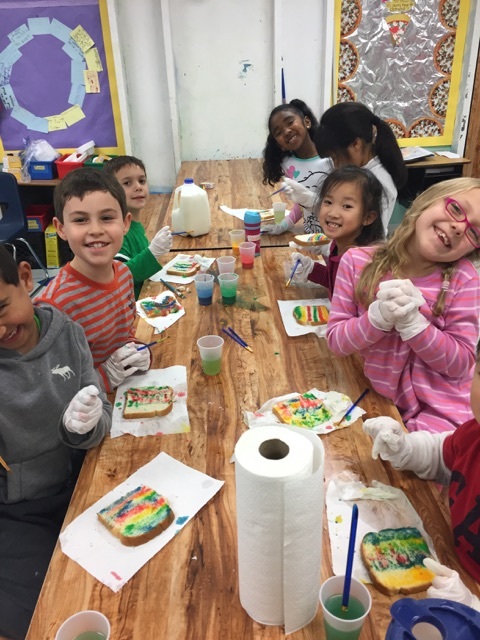 The kids had a blast making them and learned that with a few simple items around the house, you can create something really useful and cool! And last but not least, we had our STEM spectacular project with Miss Kristen. 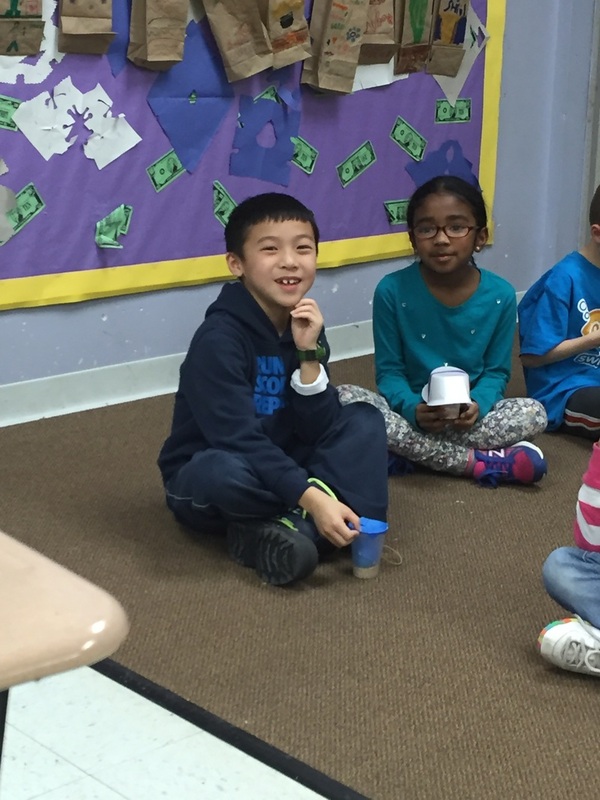 Each student had the choice to build a base out of paper in either the shape of a cylinder, triangle, or square. 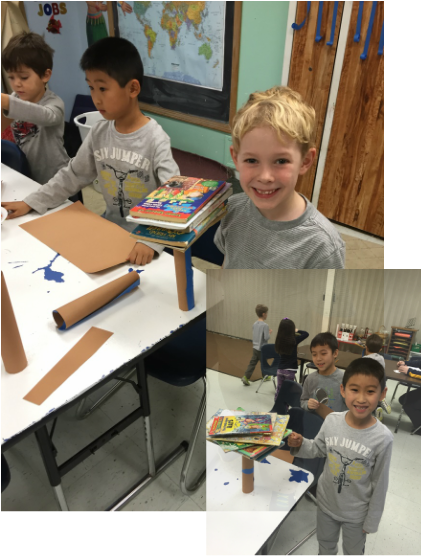 Once the base was built, they tested how sturdy their structure was by stacking books on top. Some were able to stack 20+ books! 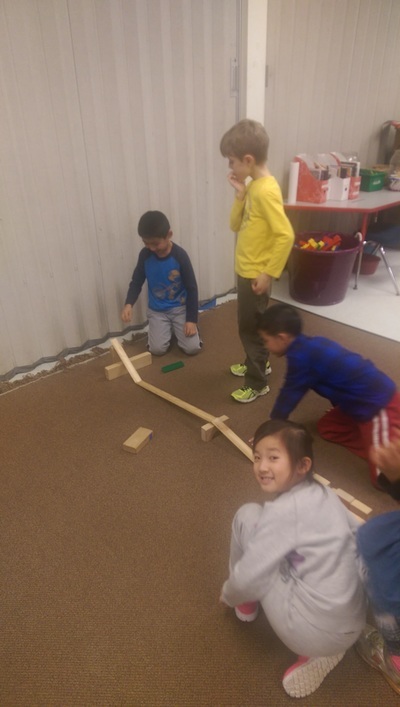 It was a great introduction to STEM which is our current theme this week. Mr. Mike here again. Hope you all enjoyed the weekend and the kids had a restful and relaxing day off while remembering all the positive Dr. King accomplished in his day. I would like to start off with a friendly reminder now that winter is starting to feel more like winter, we please urge that you send your child with a proper winter coat, gloves, and hat. It is important for when we have our brief but necessary recess time. Now to the good stuff. 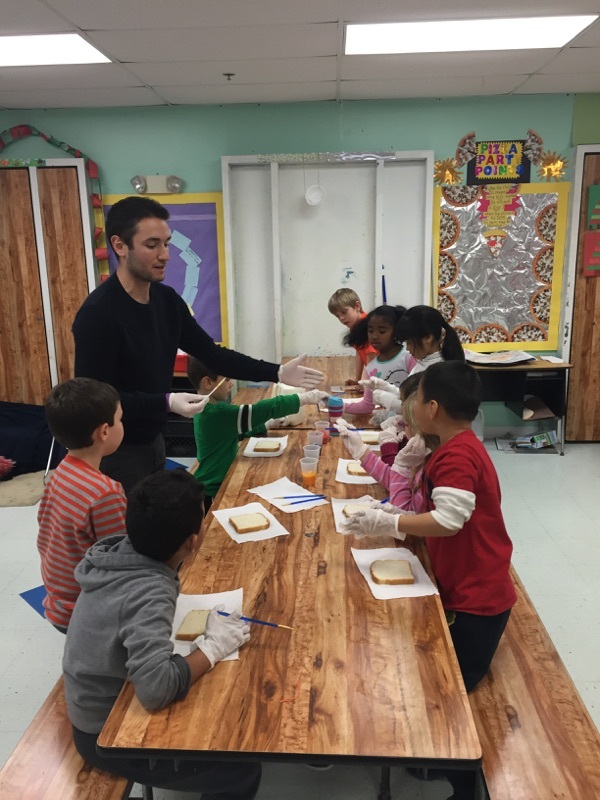 This week we did some dancing with Mr. John, cooking with Miss Kristen, and science with me. It was an action packed and fun week with lots to talk about. 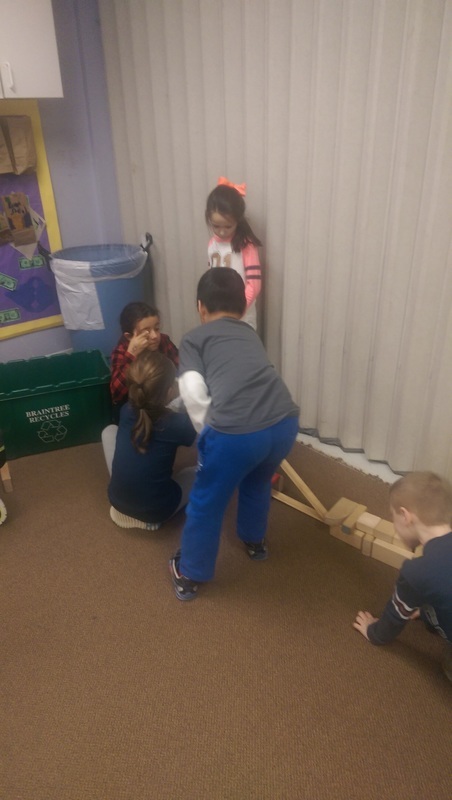 The science project spanned over two days with our egg drop. 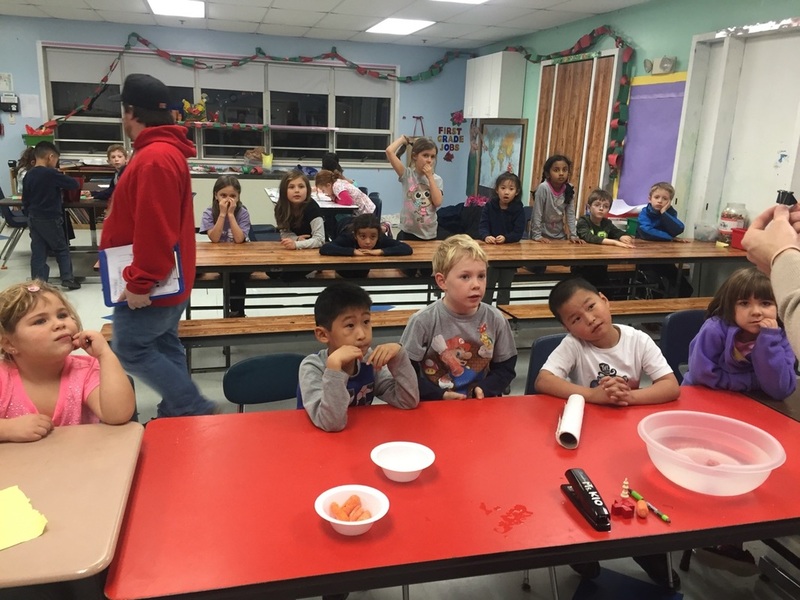 We first began with Easter eggs filled with change, to simulate a real egg without the mess. 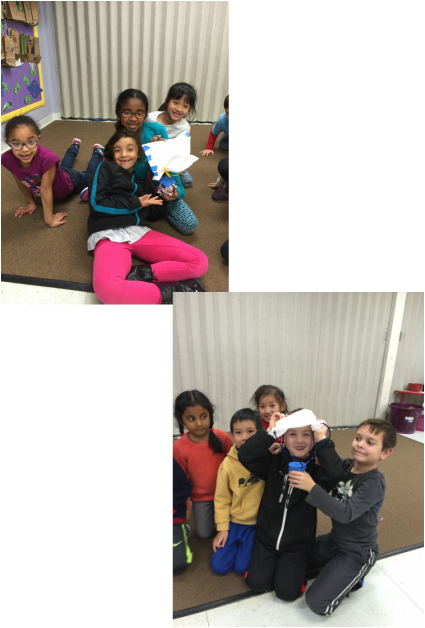 The kids protected their eggs with only a plastic cup, pom poms, pipe cleaners, paper towels, and of course, plenty of tape! 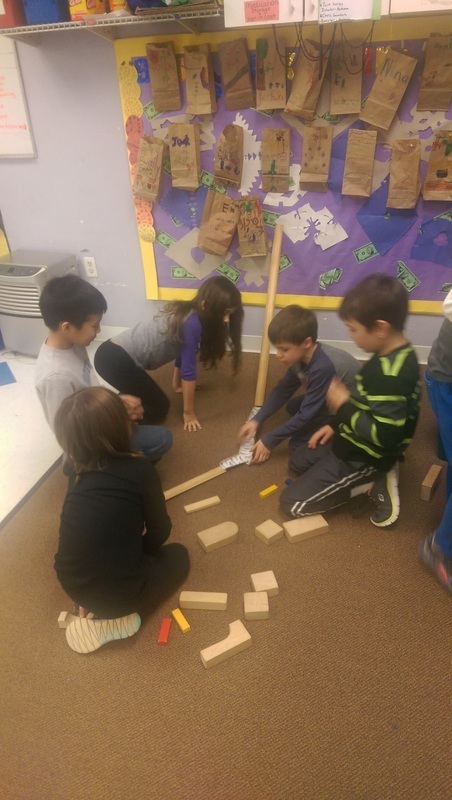 They came up with some brilliant designs and collaborated in teams to almost near perfection. Super impressive stuff. We then moved on to hard boiled eggs (partially, due to my lack of knowledge in the kitchen) with the same materials. They worked again in the same teams and made improvements to their previous models, and again had a blast. Finally, we had our cooking project which was to make tacos. 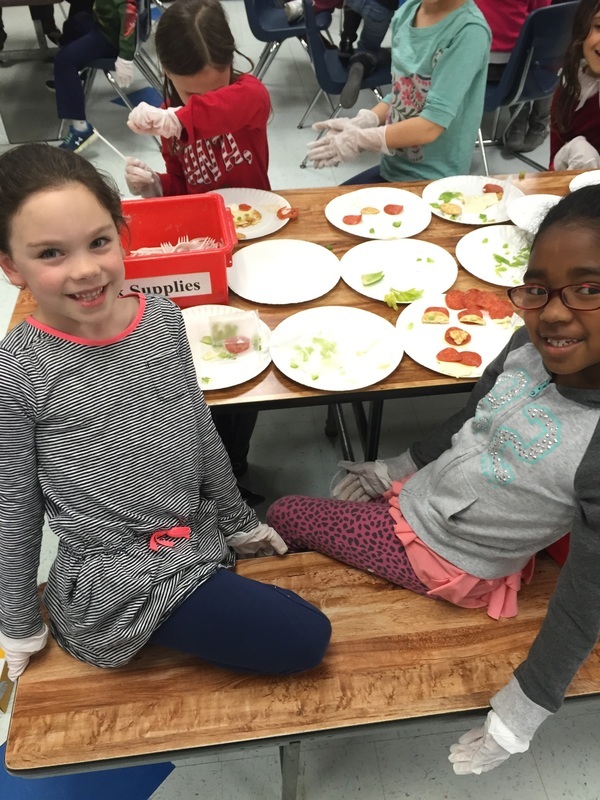 I was initially surprised at how many of the kids voiced their displeasure with tacos, but it was all smiles and fun once the creating began! Hopefully some of you were able to enjoy the deliciousness they brought home with them on Friday! Hello all, Mr. Mike here with the latest and greatest from the 1st grade room. I hope your new year is off to a great start and that those resolutions are still going strong! We started our new year off the right way with a wonderful project put together by our very own Mr. John. 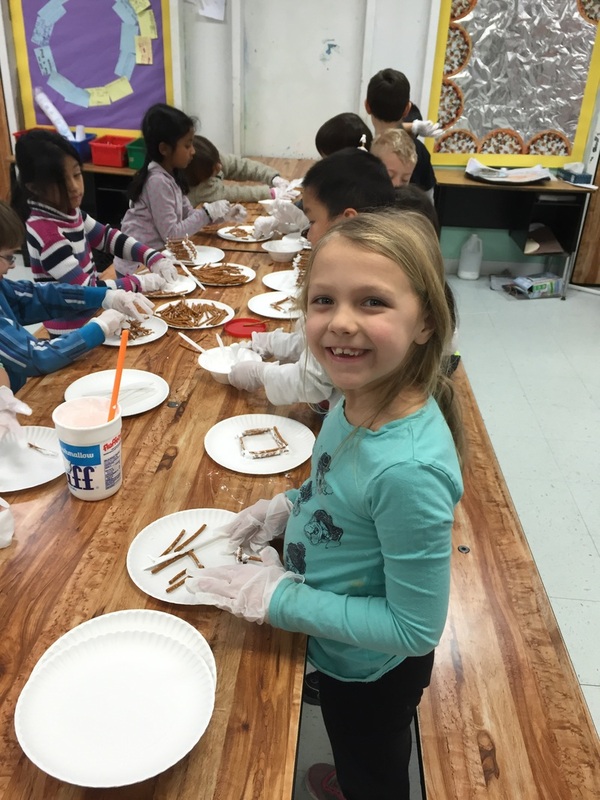 The kids had a blast making a variety of structures with just pretzel sticks and fluff. Their creative sides were on full display and had a yummy treat to devour when it was all said and done! Happy week before Christmas! Is everyone ready? 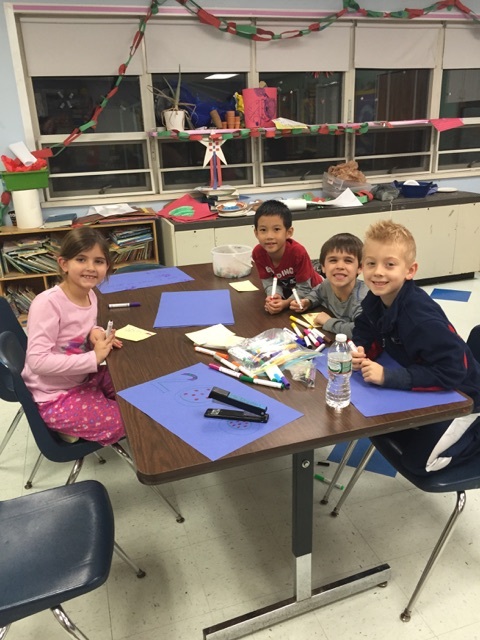 We have been working hard on decorating our classroom for the holidays and of course Ruby! Have you all seen her around? She is so silly! 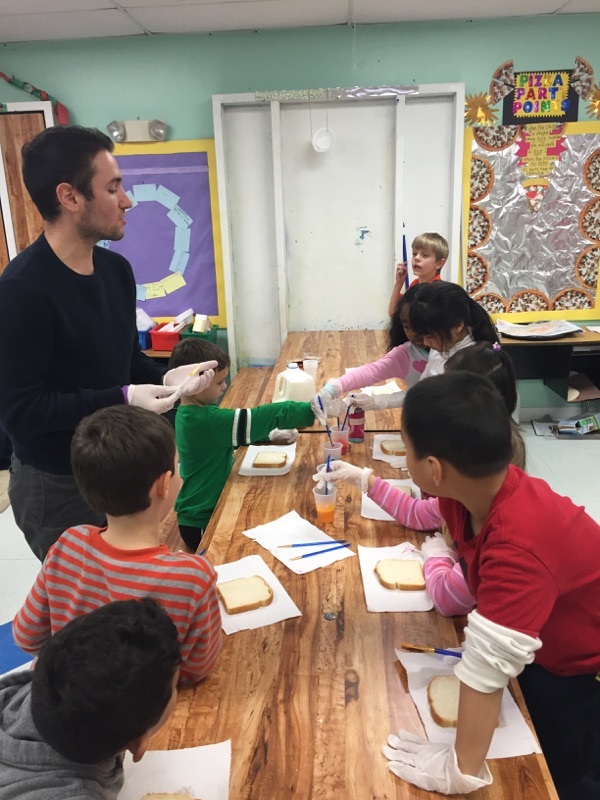 This week we started off with a super cool science project with Mr. Mike on discovering everyday objects that may or may not float. 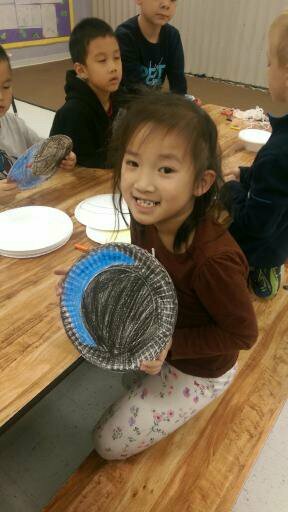 With Mr. John this week we learned about the winter solstice and created some super cool paper plate projects. 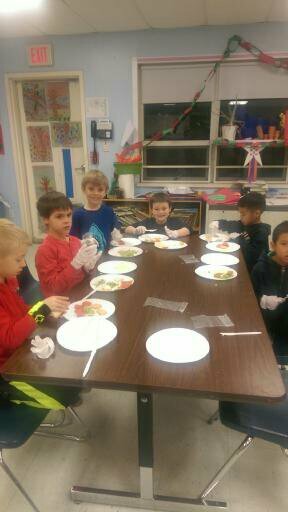 We also made Santa faces using Ritz crackers, celery, cottage cheese, and pepperoni. Super yum! Be sure to check with your teachers to make sure you are signed up for winter break.